An antenna that does its job is invaluable and in demand just as the ASC Signal Division of Communications & Power Industries LLC's (CPI) high-frequency (HF) antennas has proven most recently in Indonesia. ASC Signal has been awarded a contract for four Model 3005 Spira-Cone™ HF antennas in Indonesia by Pratama Wahyu Teknik (PWT), a communications systems integrator headquartered near Jakarata. 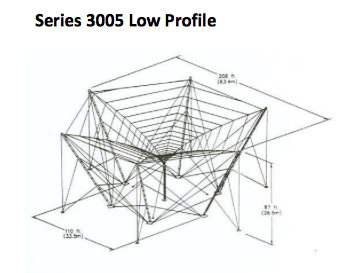 Model 3005 HF antenna system was first developed to meet a requirement by the US Navy for a low-profile antenna to replace older, rotatable log-periodic antenna systems. This model includes mode voting technology, which is widely used in non-commercial HF systems, and extends the use of that technology into the commercial sector. PWT will use the Model 3005 Spira-Cone™ HF antennas for air-to-ground communication and navigation purposes for the Indonesian National Directorate General of Civil Aviation for RDARA, the Regional and Domestic Air Route Area coverage agency in Makassar and Merauke, Indonesia. Although this is CPI ASC Signal Division's first project for PWT, the new contract is not its first project in Indonesia nor the region as they have been supplying antenna systems to the Southern Pacific region for approximately 12 years. Their projects include the provision of state-of-the-art antenna products to Australian aviation authorities and the Indonesian military through large, multi-national original equipment manufacturers. Keith Buckley, president of CPI ASC Signal Division commented, "The Southern Pacific region relies heavily on air transportation for a variety of its social and economic needs, and it is vital that it has access to reliable, proven technology for aviation communications and navigation applications. CPI ASC Signal Division's HF antenna systems are trusted components of aviation systems throughout the region. We are honored that Pratama Wahyu Teknik, a world-class integrator, has recognized our Model 3005 technology as optimal for its system needs in Indonesia, and we look forward to a productive relationship."